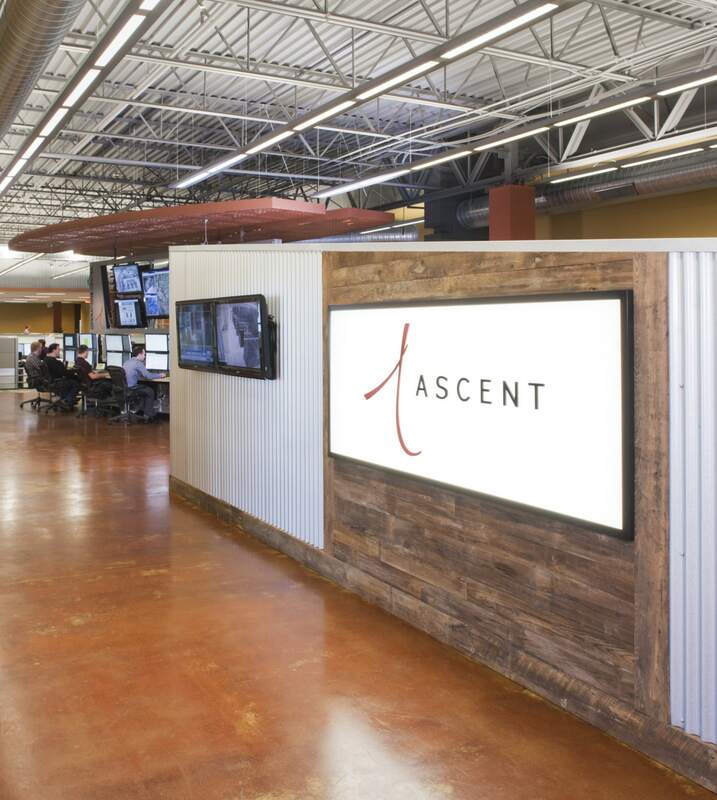 Founded in 1998 and headquartered in St. Louis, with offices in Chicago and Austin, Ascent is a leading provider of comprehensive solutions for data centers and other mission critical facilities. The company has grown into a turnkey data center solutions provider with a broad range of expertise, uniquely spanning the planning, engineering, construction, management, real estate development, and operations of data centers. In their new space, a centralized ‘operations center’ was designed as their showpiece. 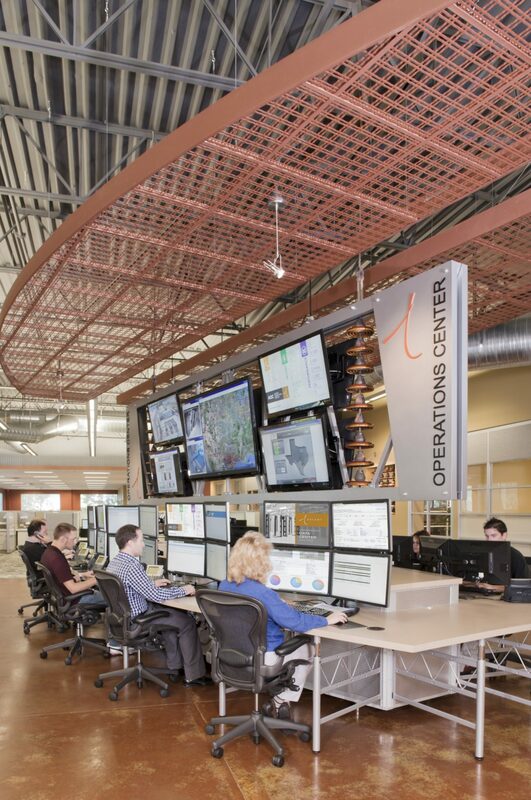 This 24 hour operation ‘ops center’ is easily accessed and visible by the management team through strategically located glass walled offices and includes a collection of old electrical insulators as part of the design. 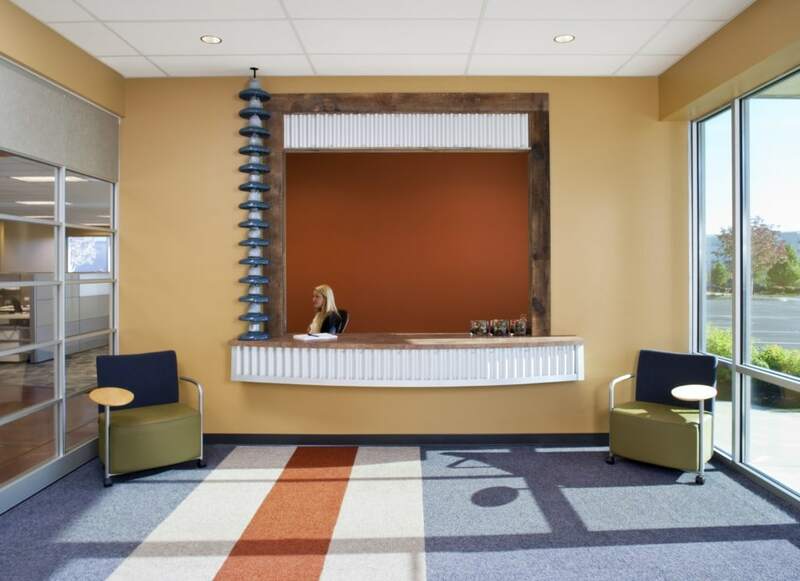 Although heavy in technology, the CEO desired a warm, western feel to the space. Through the use of reclaimed lumber, corrugated metal and sliding barn doors that image was created. 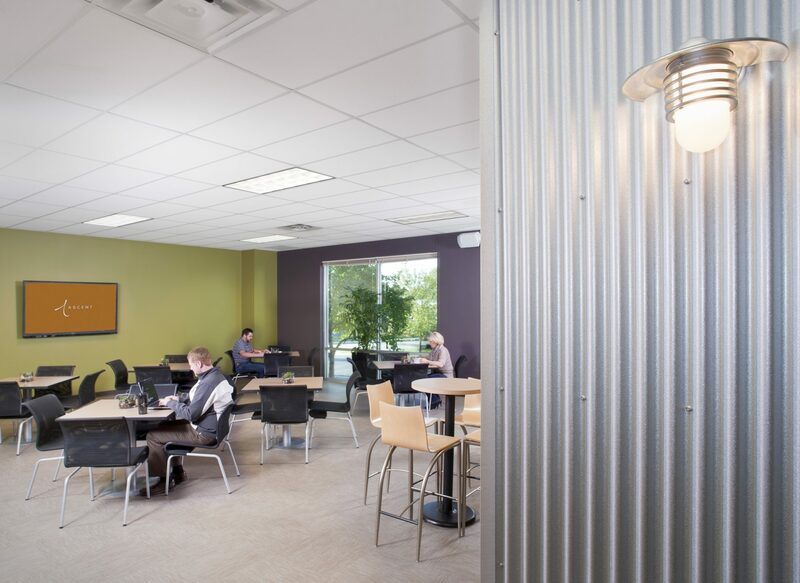 An enlarged and updated break area and fully equipped kitchen now accommodates their growing staff, along with an exterior adjacent patio and an exercise room. A new wall sign and updated corporate colors provided final touches to the building.